The Delhi Design store immediately transports you beyond the city spaces into a tranquil urban hub that brings alive eclectic and contemporary design. Walk into this delightful space, artistically conceived on the Chattarpur Sau Foot Road, to soak in an ambience unlike any other in the city. 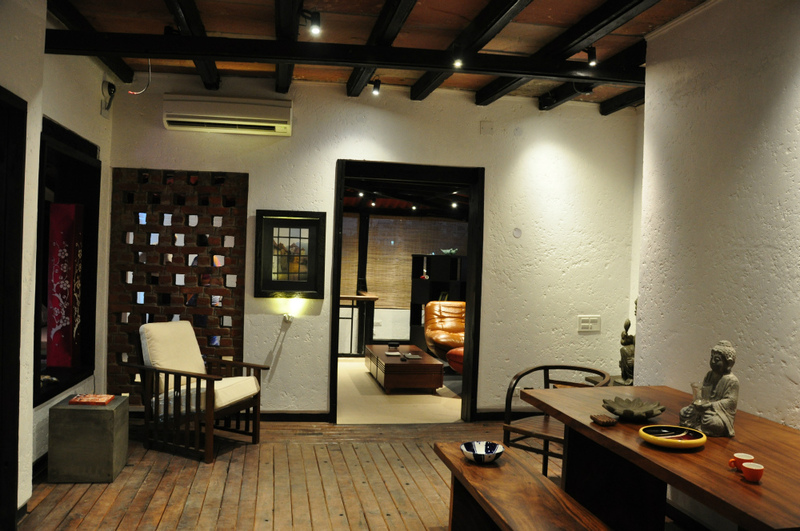 The brainchild and creative vision of reputed Interior Designer, Monica Khanna, The Delhi Design store has been conceptualized to offer limited edition furniture and accessories that bring eternal style and classic design at one destination. You walk past a life size spectacular Ganesha statue mounted on an impressive heavy black stone. The studio has a stamp of individuality with a pastiche of textures. The flooring has been custom made using natural hard wood, complementing cement and red wood options. Rustic plastered walls finished in pure white, windows with old styled grills, and red stone roofs with wood and metal beams present an ambience of pleasant ‘fusion’ with understated clean pure lines. 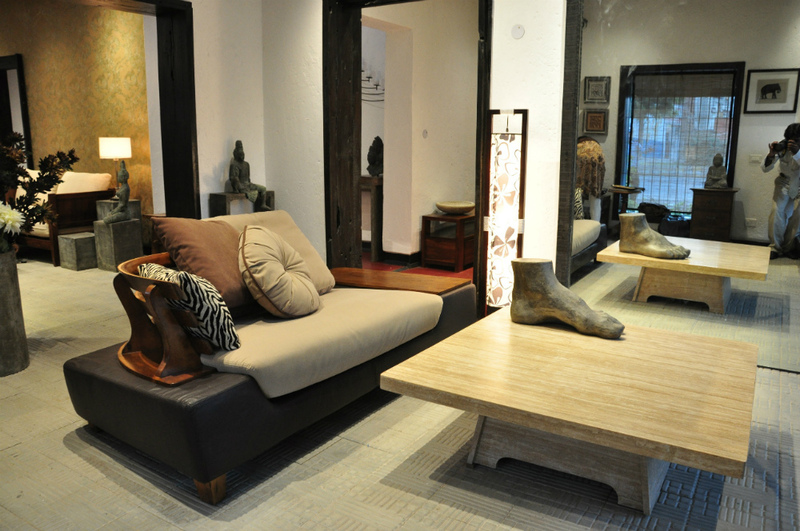 Spread over two levels across a space of 1600 square feet, each room presents a varied and charming range of artefacts. The studio gives a definite sense of spaces within spaces. Monica Khanna puts to good use her innate expertise and commendable experience with prestigious projects which range from designing the interiors of the Palace on Wheels (Rajasthan) and the Royal Orient of Gujarat, which make her the only designer in the country to design two luxury trains. She is a consultant to various luxury hotels and resorts, farm houses, and houses for expats and celebrities. 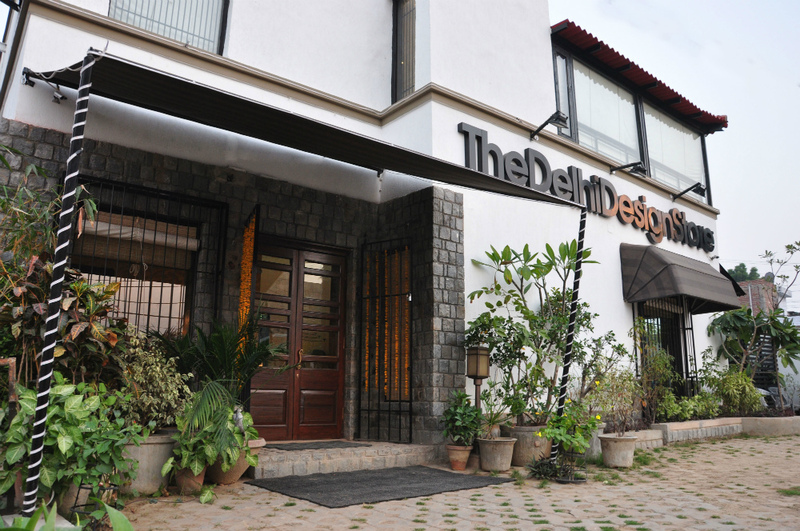 The Delhi Design Store, thus, is not just a curated destination for limited edition interiors, home accessories and home furnishings but also offers complete turnkey solutions advice. Chattarpur Hills, Chattarpur, New Delhi. Posted on June 5, 2014 June 4, 2014 by AparnaPosted in Decor, Design, Interior Design, Lifestyle, ProductsTagged Accessories, artefacts, decor, design, Interior design, Lifestyle, Luxury, products.